TIMOTHY J. KEISER is a trial attorney within GWC’s Specialty Litigation Practice. As a Specialty Litigation attorney, Timothy handles a broad range of legal matters with a particular emphasis on toxic tort litigation, white collar criminal defense, civil rights actions, police brutality cases, and commercial disputes. In addition to these areas, Timothy works on catastrophic injury and wrongful death cases in support of GWC’s core focus. Timothy has consistently displayed a track record of success throughout state and federal courts by being a zealous courtroom advocate for his clients. Since becoming licensed in 2010, he has devoted his career to fighting on behalf of those who have been wronged by other individuals, corporations, insurance companies, and municipalities. Timothy has handled numerous complex and sensitive matters where his clients’ lives, livelihood, and liberty have been threatened. In acknowledgment of his legal success and accomplishments, he was recently named a 2019 “Rising Star” by Super Lawyers, placing him among the top 2.5% of all attorneys under 40 years old as determined by his peers. This is the second year in a row that Timothy has been honored as a Rising Star. 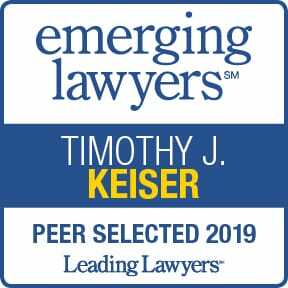 Additionally, Leading Lawyers Magazine named Timothy one of 2019’s “Emerging Lawyers.” This honor is reserved for those who have displayed excellence in the law while practicing for no more than ten years. Even at a young age, Timothy knew the law was his calling. After receiving a BBS in Business Management & Strategic Leadership from Ohio University, he enrolled in DePaul University School of Law. While earning his Juris Doctorate, he participated in nationwide tournaments as a member of the DePaul Trial Team and joined GWC as a law clerk in 2009. 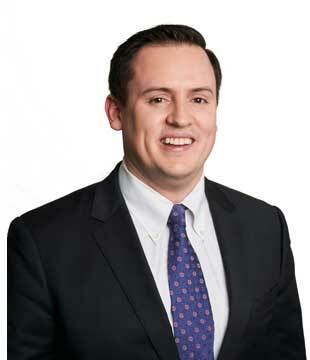 When not practicing law, Timothy enjoys cheering on his beloved Chicago sports teams with family and friends. As a three-time finisher of the Chicago Marathon, he can often be found running along the city’s lakefront and jogging paths.